Our new website makes it easy to find what you're looking for (and discover new things that you didn't know existed!) You can search for it all in the search bar, just above the blue navigation menu. 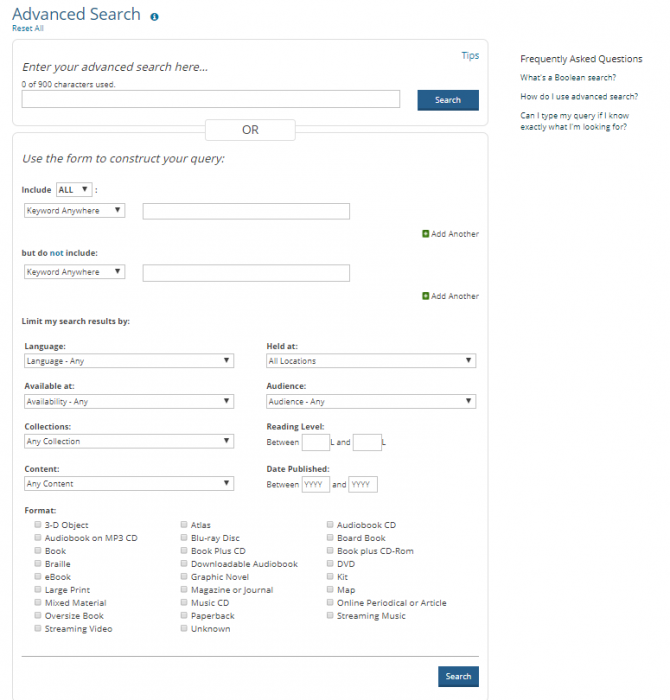 Searching the catalog allows you to find materials by searching with a keyword, title, author, subject and more. Under the blue magnifying glass button, you can also click Advanced Search and be taken to a new page where you can refine your search. For more on how to search the catalog, click here. Searching the website allows you to search through the content on our pages, including FAQs, news, and blog posts, such as this one! If you're having trouble navigating the new website, our FAQs are a great place to start! You can search them directly in the search bar. For example, if you type "register" in the search bar, you'll be shown every FAQ we offer with tips and information about registering on the new website. From the search bar, you can also search our events by keyword. You can also view our events by clicking Events (next to the calendar icon) on the blue navigation menu. Searching events or clicking from the menu will take you to a new page, where you can refine your search by fields including audience, program and location. 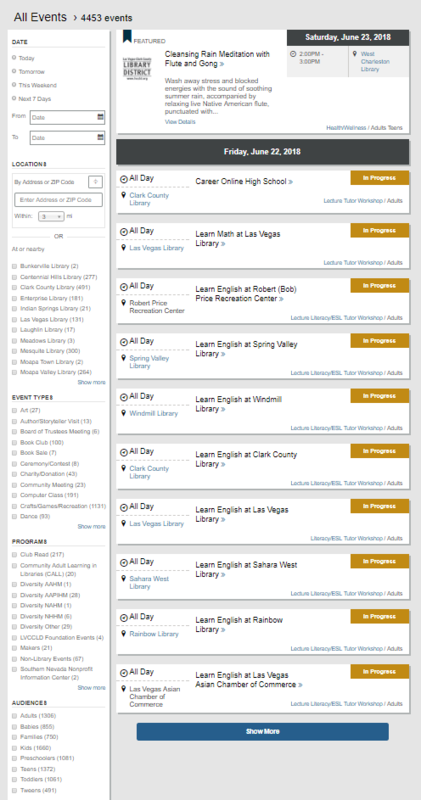 Finally, selecting research from the search bar drop-down allows you to search specifically though the Las Vegas-Clark County Library District's electronic resources database, which includes news, magazines, trade publications and academic journals. What would you like to see for our next Tip of the Week? Tell us in the comments!